Quick indulgence in something cold and chocolatey…. Place banana pieces in freezer for a few minutes. Place peanut butter and choco chips in a small glass bowl and microwave for 40-60 secs. Mix nicely to form a smooth sauce. 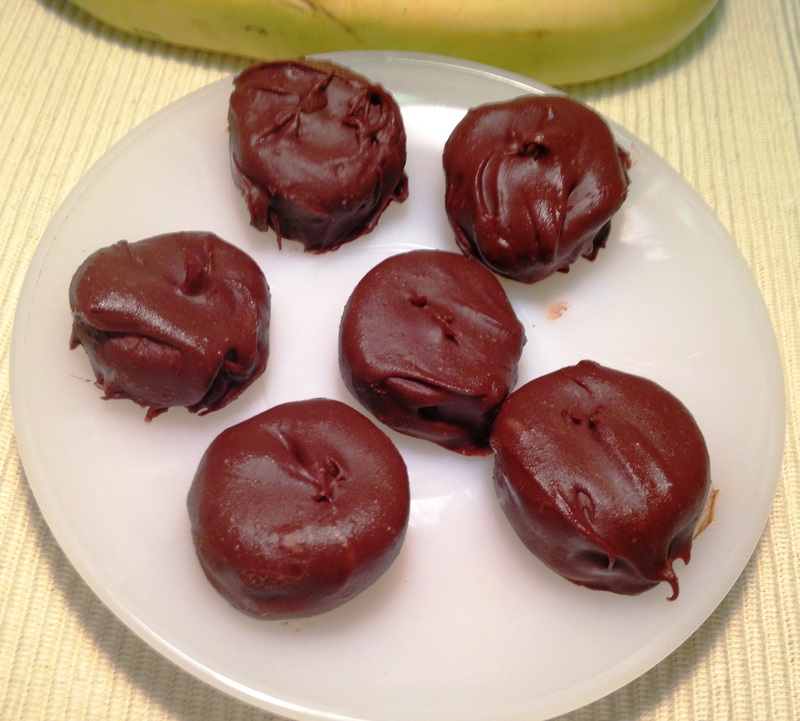 Dip each banana piece in the chocolate sauce with the help of a toothpick. Place on a parchment paper and place in the freezer. 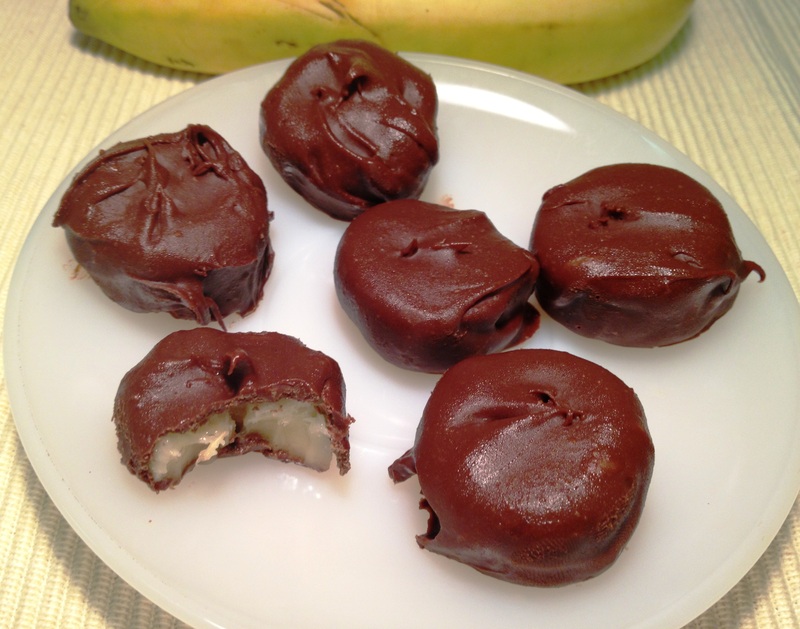 This entry was posted in Desserts/Sweets, Snack and tagged banana choco, banana ice cream by PriyaBaby. Bookmark the permalink.